Lismore’s Maurice Shanahan out in front of De La Salle’s Michael Doherty in their Co. SHC tie in Fraher Field. Photo: Sean Byrne. Given the number of players on the senior hurling panel still out with injuries it is likely the county selectors were nervously awaiting the completion of last weekend’s games to see if all of their players came through unscathed. It appears that such was the case but while supporters continue to speculate as to what way the team might set up when all those players report back there was no indication last weekend as to when any of them will be available. 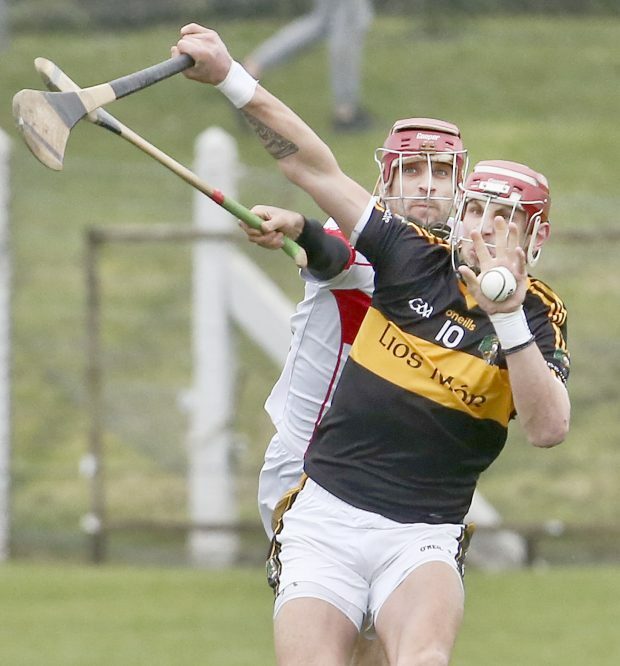 There was a full range of games in Junior Senior and Intermediate hurling over the weekend that would have given players the opportunity to ease their way back into action but none made an appearance for their clubs. Tourin played a second round of the Western Junior Hurling Championship but neither Shane or Darragh Fives appeared on the team sheet. Clashmore scored a big win over Stradbally in Intermediate hurling without Brian O’Halloran and Conor Gleeson did not line out for Fourmilewater. On the plus side Maurice Shanahan lined out for Lismore and was in fine scoring form against De La Salle and clearly remains a live option. With just over five weeks remaining to the game against Clare and no competitive game on the horizon in which to test the injured players one would have to wonder just how prudent it would be to put one into the hot heat of championship action without having even played a league match or even a club championship match. As the championship gets closer it could well be that the expected options might not be available. Those hurlers not involved in the upcoming rounds of the football championships will probably be back in training prior to heading for a training camp in two weeks time and meanwhile the senior management will be hoping all involved come through the two rounds of football games. So too will Benji Whelan who will be anxious to get his men up and running as they prepare for a daunting visit to in form Clare in Ennis on the eve of the Waterford/Clare hurling fixture in Walsh Park.